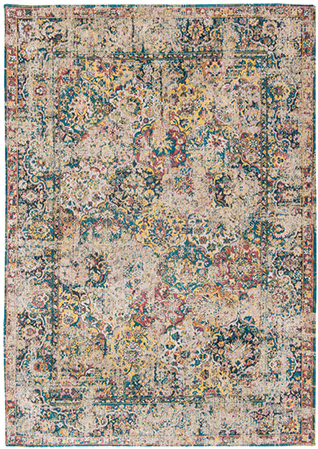 Part of the Louis de Poortere Antiquarian Bakhtiari Collection, the Topkapi Multi rug can make any room look stunning. The range draws inspiration from the traditional patterns of the Bakhtiari tribes. This rug boasts a detailed decorative design with a floral diamond pattern and an intricate border. 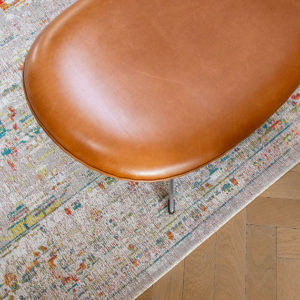 Thanks to the distressed areas, this gorgeous rug looks like a veritable vintage piece, enhancing your home with an unmistakable antique character. 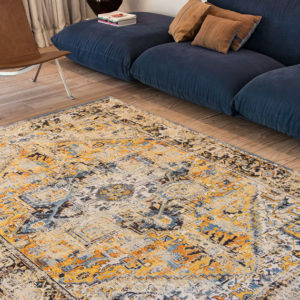 As high-quality as it is captivating, this Louis de Poortere rug has a Jacquard flat-weave construction, cotton yarns, and a natural anti-slip backing. 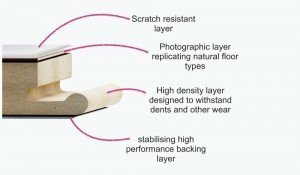 The rug measures 3 mm in height and has a weight of 1500 gr/m2.